"Distinctivly RED Valentino. 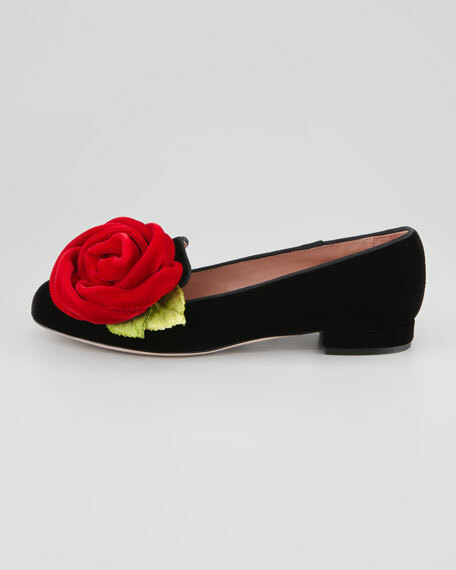 Let these shoes do all the talking by keeping your wardrobe minamalist and crisp." 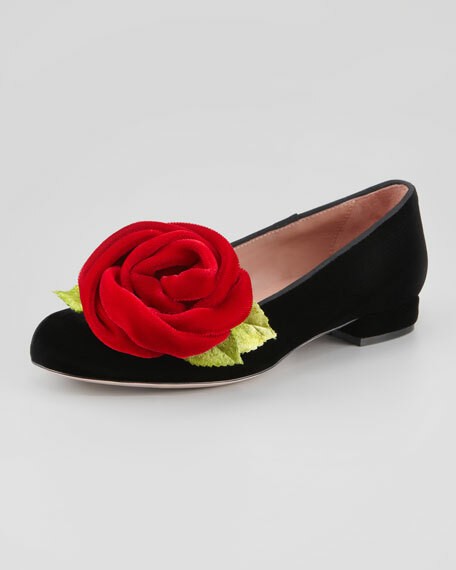 This RED Valentino smoking slipper adds a whisper of romance to any look with vivacious velvet. 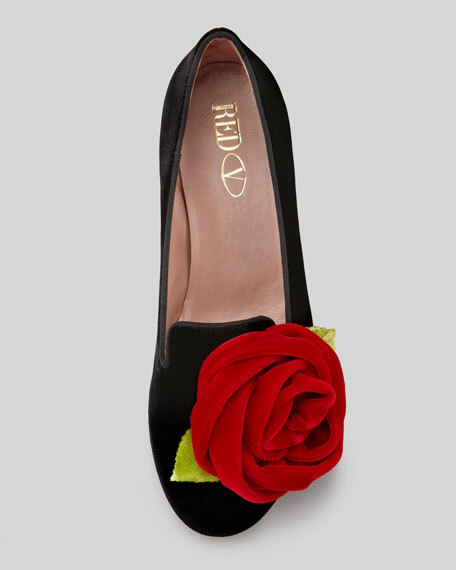 Velvet upper lined in leather, trimmed in tonal grosgrain. 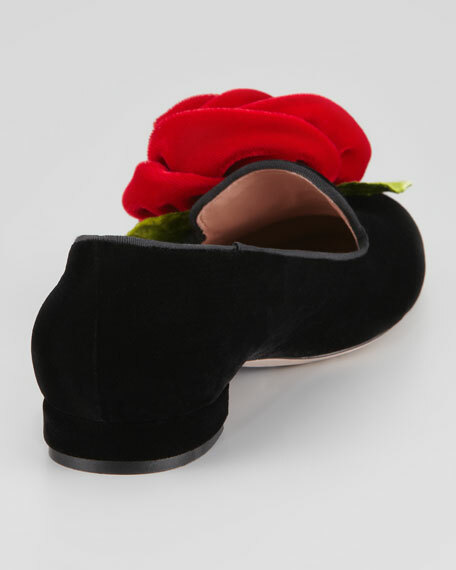 Plush 3D rosette and leaves sit atop notched Venetian vamp and round toe. 1/2" flat, covered block heel.